We offer a wide variety of cremation and burial placement options. 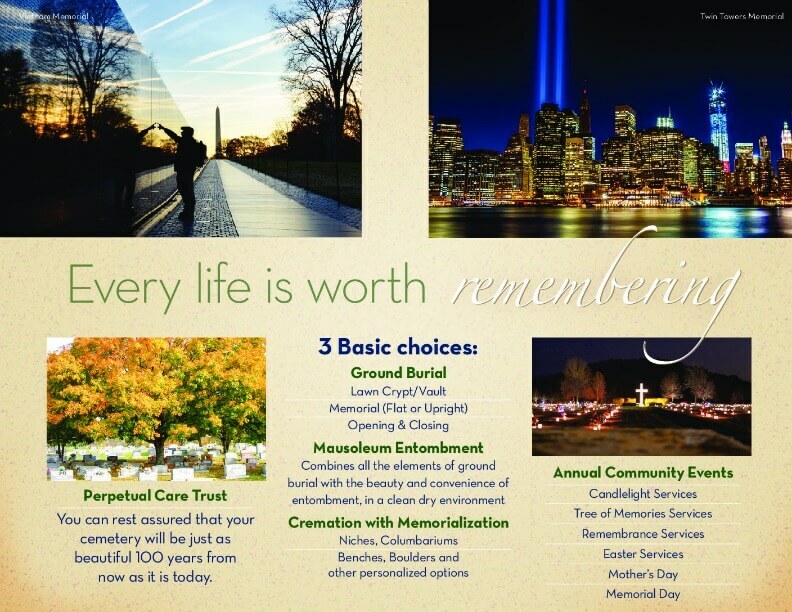 Cremation options include burial, niche, home, scatter or private and community placement. Burial options include ground burial, lawn crypts, mausoleum and private estate options. Download this options summary to learn more.